Before there was Santa Claus, there was a young boy who believed in the impossible. . . . Lemony Snicket meets Elf in this warmhearted Christmas caper. Eleven-year-old Nikolas--nicknamed "Christmas"--has received only one toy in his life: a doll carved out of a turnip. But he's happy with his turnip doll, because it came from his parents, who love him. Then one day his father goes missing, and Nikolas must travel to the North Pole to save him. Along the way, Nikolas befriends a surly reindeer, bests a troublesome troll, and discovers a hidden world of enchantment in the frozen village of Elfhelm. But the elves of Elfhelm have troubles of their own: Christmas spirit and goodwill are at an all-time low, and Nikolas may be the only person who can fix things--if only he can reach his father before it's too late. . . . Sparkling with wit and warmth, A Boy Called Christmas is a cheeky new Christmas classic-in-the-making from acclaimed author Matt Haig and illustrator Chris Mould. "Irresistibly readable. Destined to become a Christmas and anytime-before-or-after-Christmas classic!" --Chris Grabenstein, New York Times bestselling author of Escape from Mr. Lemoncello's Library"The definitive (and funny) history of ho, ho, ho! My children loved it." --Yann Martel, bestselling author of Life of Pi "The most evergreen, immortal Christmas story to be published for decades." 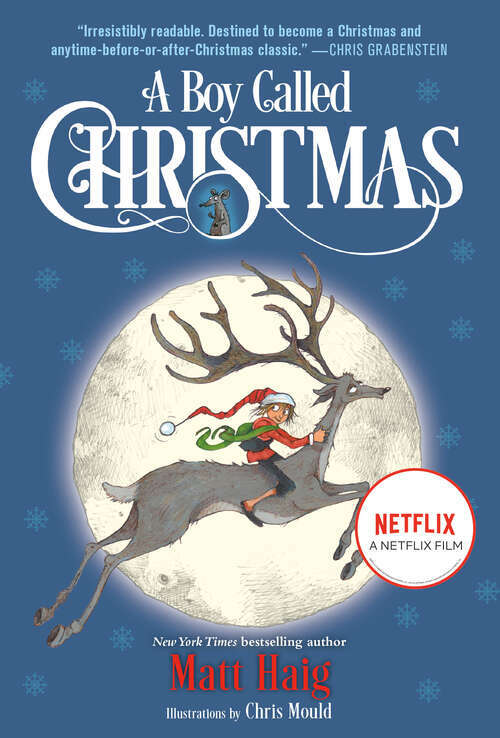 --Stephen Fry"Humorous and heartfelt, A Boy Called Christmas will grow your heart three sizes and make you believe in magic." --Liesl Shurtliff, New York Times bestselling author of Rump"Matt Haig has an empathy for the human condition, the light and the dark of it, and he uses the full palette to build his excellent stories." --Neil Gaiman, Newbery-winning author of The Graveyard BookFrom the Hardcover edition.